We have so many lovely wild flowers in our garden and in the surounding fields and woods. On this page i will try to identify them all and where i don’t know what they are called ill add a photo and maybe someone will kindly tell me. These lovely flowers can be found mainly in the woods and in the more boggy parts of the surrounding fields. The snake’s head fritillary is one of the most exquisite jewels in the treasure house of British wild flowers. Its linear grey-green leaves are followed in spring by nodding heads sometimes of pure white, or more frequently marked with a delicate chequerboard pattern in shades of purple. This is a genus of approximately 100 species of bulbous perennials. They are distributed throughout the temperate regions of the northern hemisphere, particularly the Mediterranean, Asia and North America. They occupy a range of habitats from woodland to open meadows and high screes. The majority bloom in spring, with flowers that are generally bell-shaped and pendant. The leaves are usually linear or lance-shaped. The name comes from the Latin word fritillus, a dicebox, from the spotted markings on the flowers of F. meleagris, which are suggestive of a dice-board. Thanks Gary for telling me about these flowers. Anyone know what this flower is? The leaves look like hyacinth. We have a few of them growing in our bottom field and on our lawn. 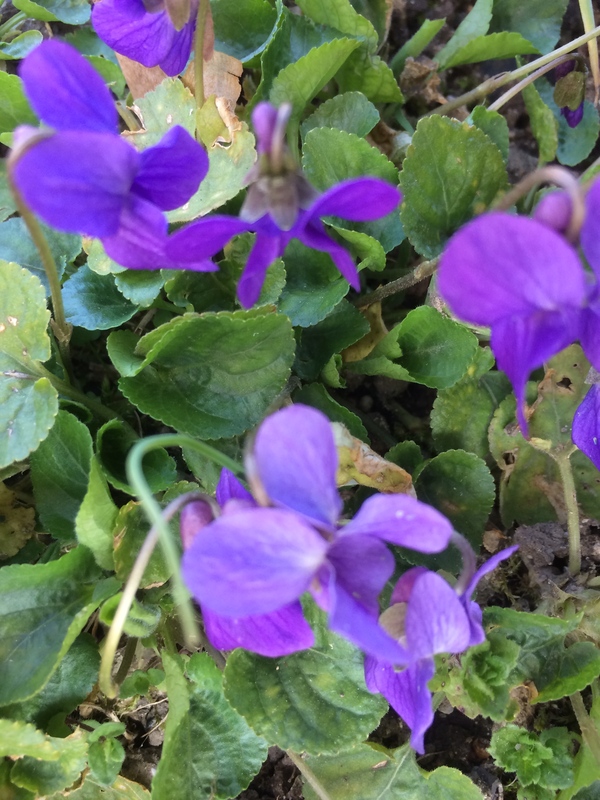 Our front garden is blanketed in wild violets, which didn’t flower last year, but boy are they making up for it this year, the scent is so potent its intoxicating. What looks like a hyacinth, if you have not found out by now, the flower is in fact a wild orchid. 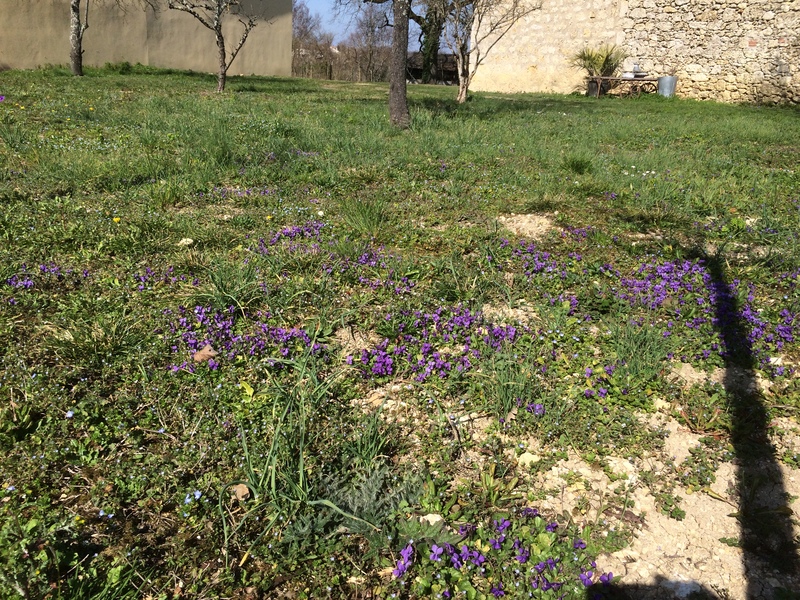 As you live near Fayssac and you have at least one wild orchid in your garden, there is a very strong possibility that you will have other varieties as well but the cutting of all the grass area has not allowed them to develop. If I may suggest next year you leave as large a section of your land to grow wild. This encourages wild life ( it saves mowing also ). Leave the area until this time of the year before cutting the grass again. If you have a large area it is nice just to cut paths through the wild area. You will find the different grasses that grow spectacular. You can always walk through the grass picking out the really bad weeds. 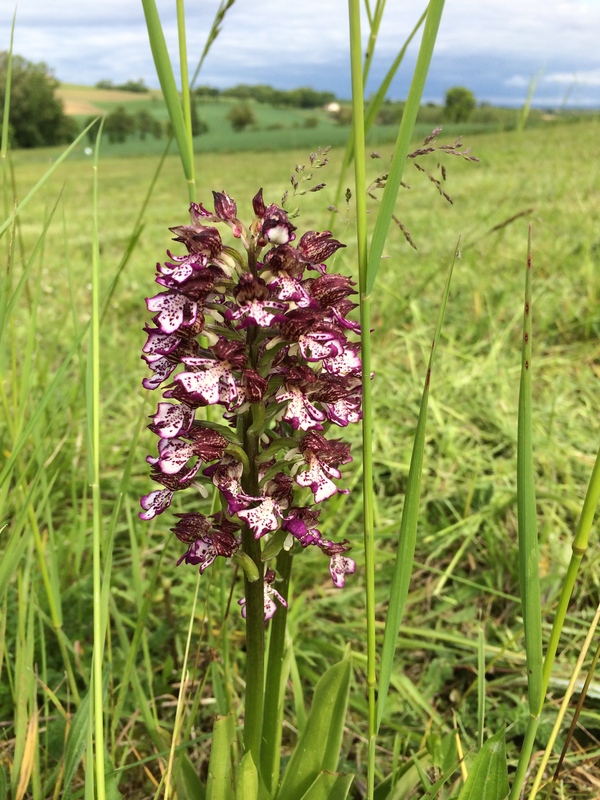 I have done this for the last 6 years and we now have 6 different varieties of orchid growing on our land. Forgive me for not providing you with my details but since moving to France I much prefer the quite life. Many thanks for your suggestion, we do in fact have a large field at the bottom of our garden that we have left to grow naturally and it has been truly stunning with so many fabulous flowers and grasses. I would love to leave an area in our main garden to grow but we have dogs and cats and have been warned to keep the grass short to discourage the snakes. I will post some photos of the field in bloom as the seasons go by. Thanks again and i hope your loving your French life as much as we are.